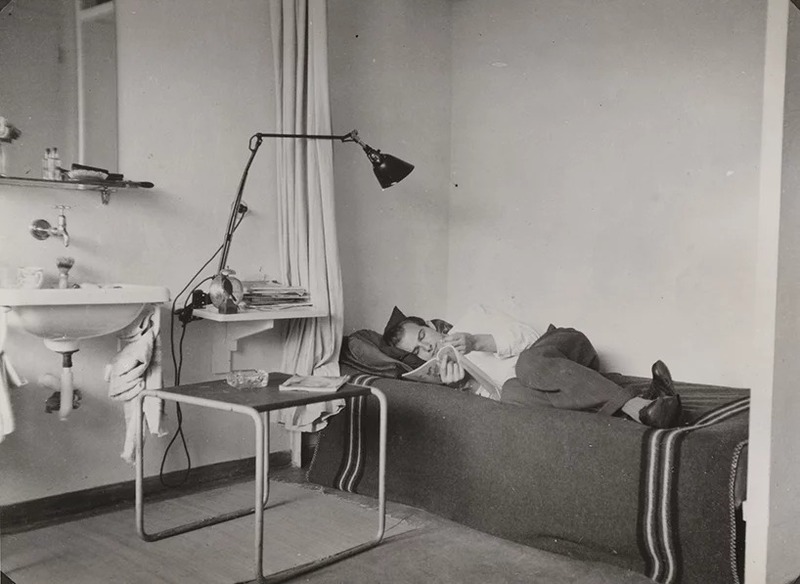 A pivotal institution in the early development of Modernism, the iconic Bauhuas school in Germany has been renovated to match its 1926 look and feel, complete with studios and sleeping spaces now open to the public. 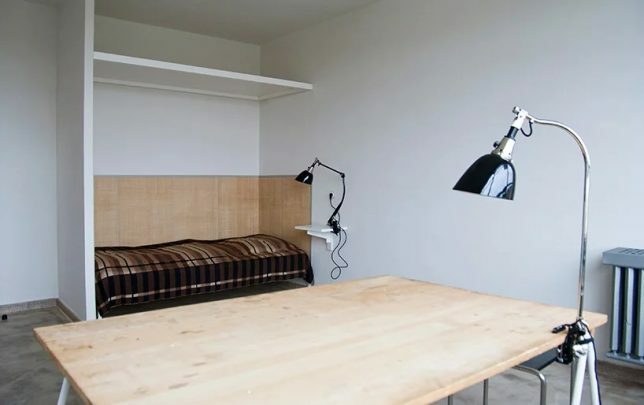 The student rooms, now available for rent, are small, minimally appointed and feature private balconies, designed as spaces to sleep, hang up one’s clothes and work a bit in a chair at a desk, but mainly austere to drive people to collaborate in studio spaces. 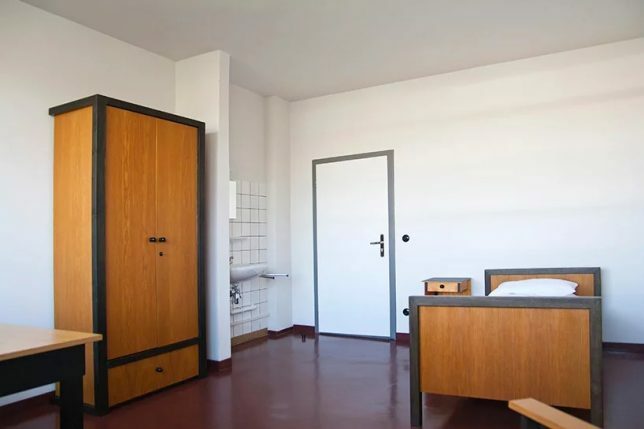 Today, for around $50 a night, designers and fans alike can visit this place in Dessau and marvel at the proto-Modernist architecture, enjoying designs made both by and for students and teachers. 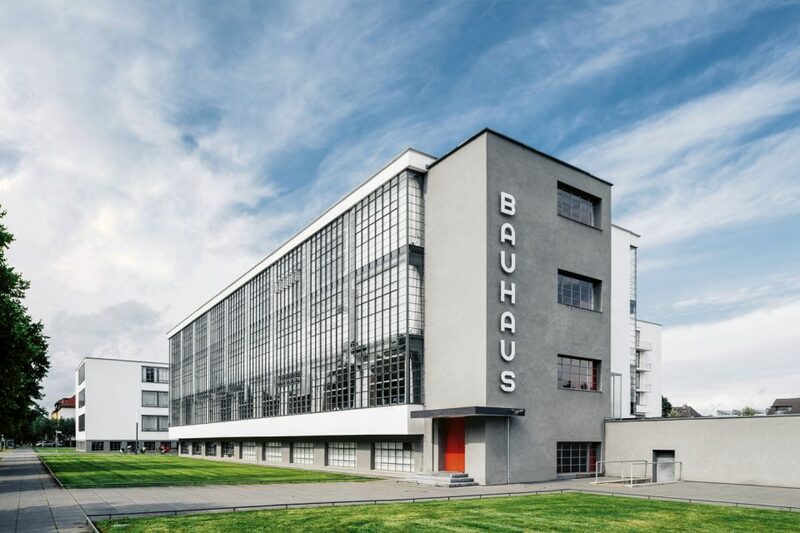 In the early 1900s, Walter Gropius pioneered a few form of functionalism and minimalism that would go on to shape not just Modern architecture but also graphic, industrial, furniture and interior design. 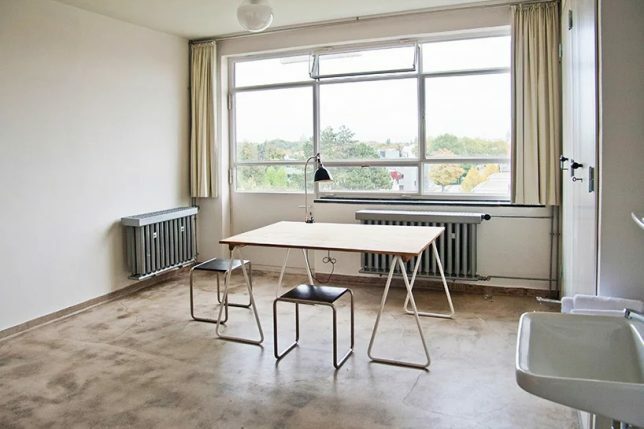 Combining an Arts-and-Crafts ethos with an industrial aesthetic, the school attracted talent from around Europe, and molded young minds to think about design in new ways. 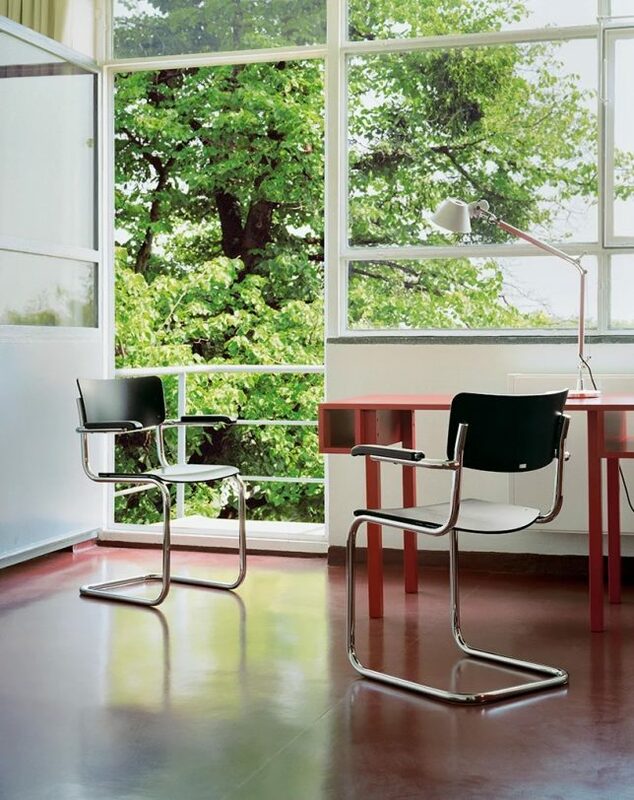 The institution itself moved around over the decades, from Weimar to Dessau and Berlin then back again. 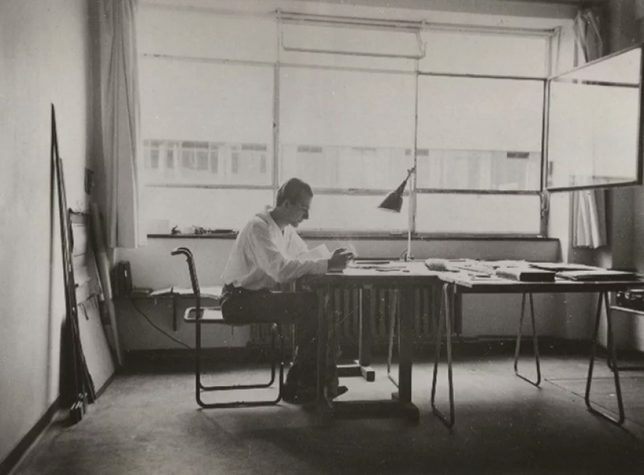 At any given time, teachers like Vassily Kandinsky and Paul Klee taught around 200 students to fuse ideas from diverse disciplines including art, advertising, manufacturing and construction. 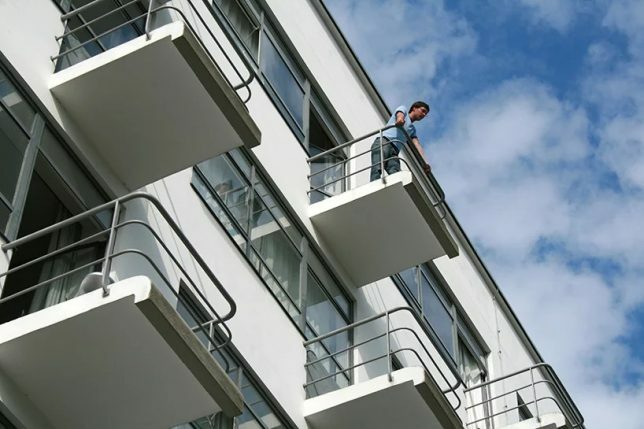 The building itself features an innovative curtain wall system, and while it may look like a familiar form of Modernist design today, it was an early example of a movement that would become the International Style.